Today.Az - Is Iran no longer risk to oil price? "The presence of Iranian barrels in the physical markets will be superfluous. The lack or difficulty in acquiring shipping insurance will help in reducing exports quickly as it did during the last international sanctions on Iran," said the report. The Iranian crude export that is tracked and reported has come off since the US announced the re-imposition of sanctions earlier in May, according to the Bank. "Iran’s oil exports have reduced from over 2.5mbd to closer to 1.6mbd recently. We expect the current administration to bring down the Iranian crude exports closer to zero shortly after the sanctions come into force. After the US mid-term elections, we would also expect Saudi Arabia and GCC allies to reduce supply slowly to allow the physical markets to absorb the excess crude first (other than Iranian barrels)," said the report. Thanks to the high fiscal breakevens, JP Morgan believes Saudi Arabia would try to keep oil price supported closer to $80/bbl. "An analysis of crude export weighted fiscal breakeven price for major gulf economies (Iran, Iraq, Kuwait, Qatar, Saudi Arabia and UAE) suggests optimal price level of ~$70.6/bbl. The group’s average price is below Saudi Arabia’s fiscal breakeven price which is just under $80/bbl this year. 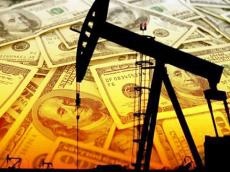 In the case of Saudi Arabia our regional analyst believes that fiscal deficit will continue to improve but they project the full year deficit at 3.3 percent with Brent assumed at $74/bbl in 2018," said the report. The Bank continues to remain supportive of oil price from current levels as the risks are skewed to the upside in the presence of US sanctions on Iran and rising geopolitical risks globally. "Finally, although demand outlook has turned negative according to the international agencies, it is largely macro driven as demand growth currently remains steady. Hence, any positive dialogue between US and China at the G20 summit should be supportive for oil," said the report. The US government's sanctions against Iran came into effect on Nov.5. The sanctions are designed to target Iranian oil exports and the country's financial sector and are aimed at dissuading third countries from doing business with Iran.